As Apple developers scramble to fix a disturbing bug in FaceTime that allowed users to eavesdrop on the people they call with the Group FaceTime function, we’ve learned the company was allegedly notified about the issue before it was widely known, repeatedly. At least one lawsuit has already been filed against the tech giant. And so far, Apple isn’t really saying much about the ordeal. On Monday evening, news spread that a flaw in Apple’s FaceTime video chat app made it possible to call someone and listen through their iPhone’s microphone while the call was ringing. If the caller hit the power or volume button while the call was ringing, they could see video from the camera on the recipient’s phone. It’s not the most useful hack if you’re looking to spy on someone, but it’s still ripe for abuse. Now, at least one person has filed a lawsuit against Apple claiming they were victimized by the security hole. Bloomberg first reported that Houston-based attorney Larry Williams II filed suit against Apple on Monday claiming negligence, misrepresentation, and fraudulent concealment, among other things. Throughout the court document, Williams claims that Apple failed to notify users of the risk of harm in using FaceTime and that the app’s security flaw caused him professional harm. The lawsuit is light on details regarding the specific harm Williams incurred. It only states that the “Plaintiff was undergoing a private deposition with a client when the defective product breach allowed for the recording of a private deposition.” Williams did not immediately respond to a request for comment sent by Gizmodo. On Tuesday, NBC News reported that a woman named Michele Thompson became aware of the FaceTime bug when her 14-year-old son accidentally stumbled on it while trying to arrange a match in the popular video game Fortnite with some friends. The boy demonstrated the eavesdropping technique to his mother on January 19 and she proceeded to reach out to Apple about it but couldn’t get a response, she told NBC. She reportedly sent several emails to Apple support and at one point was directed to the company’s bug bounty program. She then registered as a developer and reported the bug through that portal as well, but she says she was still met with silence. Thompson is an attorney who specializes in medical malpractice defense and tried sending a letter on her firm’s letterhead to Apple’s general counsel on January 22. Two days earlier, she even tweeted about it without providing sensitive details and tagged Apple along with Fox News. We’ve reached out to Apple for comment on this story as well as to ask if it intends to reward Thompson with a bug bounty for reporting the security flaw. We also asked if Apple has a way of identifying if users were the victim of this eavesdropping technique and if so, whether Apple intends to notify those users. We’ve seen in the past that within the limited information that Apple collects on user activity, it has stored the identity of FaceTime callers and the times the calls took place. We’ll update this post if and when we receive a response from Apple. In addition to the potential repercussions that Apple could face in court, we’re sure any lawmaker who has recently used FaceTime might have an interest in this situation. 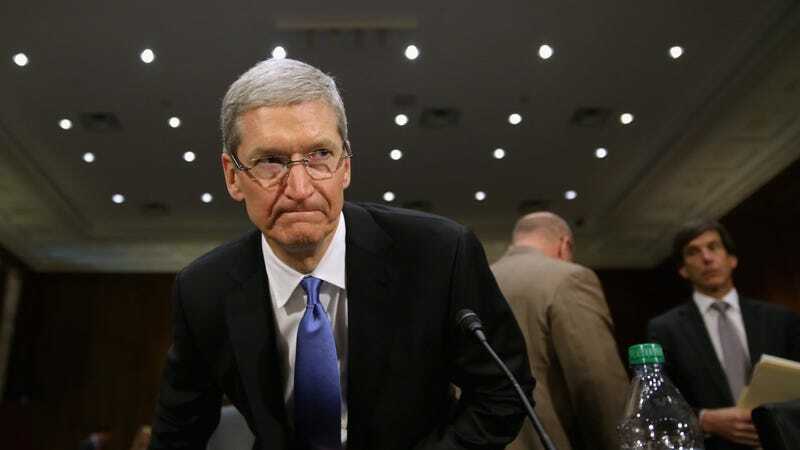 UPDATE 4:06 PM: Letitia James, the Attorney General of New York, announced on Wednesday afternoon that her office is opening an investigation into Apple’s FaceTime debacle. New Yorkers shouldn’t have to choose between their private communications and their privacy rights. This FaceTime breach is a serious threat to the security and privacy of the millions of New Yorkers who have put their trust in Apple and its products over the years. My office will be conducting a thorough investigation into Apple’s response to the situation, and will evaluate the company’s actions in relation to the laws set forth by the State of New York. We must use every tool at our disposal to ensure that consumers are always protected. James encouraged New Yorkers to reach out to a helpline at 1-800-697-1220 if they would like to file a formal complaint. Is This the Year Apple&apos;s Netflix Competitor Finally Happens?